Heroes are the strongest allies for warriors to achieve glory and wealth. Now players of League of Angels II can make them stronger than ever with a whole new PvE mode - Temple of Seal and a new Feature - Seal Cultivation, both of which has been introduced to the game in the update of February 1. In Temple of Seal, Players at Level 60 or above will be able to engage in brand new PvE battles. 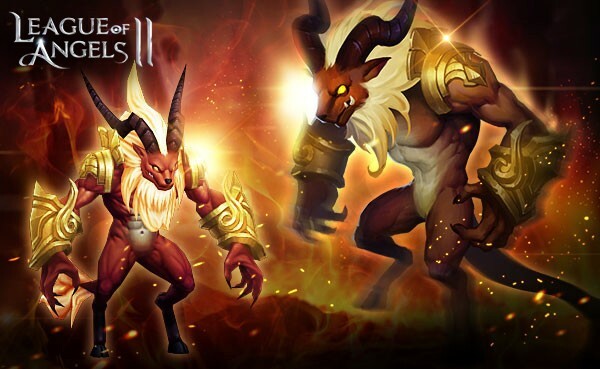 Players could select their Artifact, Mythic and Legendary Heroes to challenge 15 PvE stages for great rewards. All the Heroes in Temple of Seal have specific initial attributes based on their quality. There are two categories of slots, Gold and Silver, each of which has 3 and 8 hero slots. Only artifact heroes can be put into the Gold category and those Artifact heroes will increase extra attribute bonus by 20%, on their ATK, DEF, and HP. The slots under Silver category are open to all Artifact, Mythic, and Legendary heroes. Different qualities will bring different item bonuses. The higher the quality, the higher the item bonus rate. When heroes were deployed, players can start to challenge the stages. There will be 10 free attempts for each stage. Clearing a stage will grant player awesome rewards such as Proficiency, Seal Voucher, Seal Core, Seal Stone, Seal Shard, and Skill Points. First clearance of certain stages will grant players extra rewards - Skill Points and Seal Shard. Skill Points can be used in the “Proficiency” interface. Players can use Skill Points to learn more skills for more attribute bonus or item bonus, the bonus will only take effect during the battles in Temple of Seal. This Function Seal Cultivation provides players at Level 60 or above with a new way to strengthen their squad by cultivating each heroes’ Seals for more power and extra skills. Each hero has a Seal which provides four attributes, namely, Agility, ATK, DEF, and HP. Players must use Seal Stones to engrave each Seal. Each Engrave will activate 1 of 4 seal parts and grant corresponding attribute bonuses. When each seal component has reached the maximum level of its current quality, it can be augmented. Each seal can be equipped with 1 skill, and each skill can only be equipped once. Players must collect Skill Points from Temple of Seal to unlock the skills. Different skills need specific Skills Points to activate. Each Upgrade will not only level up corresponding skill, but also greatly increase all attributes of the Seals. Assemble Heroes to conquer the Temple of Seal and harness immense power for your squad. Stay tuned for more great content coming to League of Angels II!